Springfield’s principal long-range weapon, the M1A, is not just any other tactical rifle; this class-defining carbine is the product of over 75 years of advanced weapons engineering. Looking through history, when the famous M1 Garand was ready to be phased out of use, the U.S. government developed the new and improved M14. This amazing rifle quickly became an American staple due to its unrivaled reliability and powerful 7.62×51 NATO cartridge. However, as with all things, the M14’s service time was winding down, and it was out with the old and in with the new. 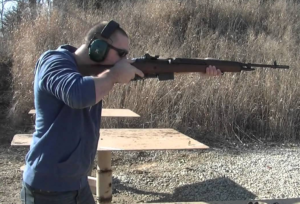 At that point, Springfield took the M14 platform, made a few essential changes, and turned it into a civilian legal semi-auto, under the new name: M1A. Even to this day, these rifles can be found hunting big game, winning countless marksman competitions, and even in life-saving tactical missions. In my opinion, this firearm is the epitome of what Springfield Armory is all about. The Reese Family acquired the illustrious Springfield name in the hopes of continuing their storied legacy of producing historically significant weapons through their use of modern and innovative engineering practices. For more information about Springfield and for an overview of their sweet lineup of guns, check out my piece here. For now, it’s time to begin the Gunivore exclusive review of Springfield’s M1A tactical rifle series. Before I get into the M1A specifically, I think it’s important to look at the differences between it and its predecessor, the M14. 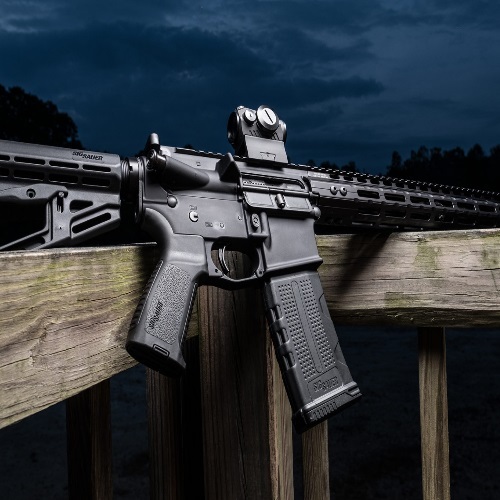 The most notable distinction between these two rifles is in their receivers; both in terms of what they’re made of and the process by which they are made. Currently, Springfield manufactures their M1A receivers out of durable precision investment cast AISI 8620 alloy steel, while the original rifle was produced through the more tedious and expensive drop forge process. And while some folks may claim that cast receivers aren’t as good as forged, you’d have to be in some pretty extreme environments and shooting some pretty extreme volumes of ammo to notice a difference. Additionally, SA no longer keeps the original selector switch cutout on the back right end of their receivers. Considering the Springfield’s reputation, I had some serious expectations on how well the M1A would perform. The model I was able to get my hands was outfitted with a non-slip black synthetic grip and stock. I really liked the way it felt in my hands, even on a hot summer’s day. The advantage of using this model as opposed to a more classic one is that the modern synthetic finish shreds about a half a pound from the overall weight compared to the walnut version, in addition to offering a more comfortable grip. I’m a big fan of Springfield’s trigger selection– I really liked the resistance and the crisp and natural feel of the two-stage trigger. So far, my trial run with the M1A was running smoothly and I had no real complaints. One magazine in, I was surprised at the felt recoil of this rifle, especially considering its high-powered ammo. To give the M1A a real test, I set up several 10” steel plates at 150, 200, and 250 yards down range, and I had zero trouble knocking them down. One of the biggest advantages was how easy the follow up shots were, thanks again to the low recoil. Some of the M1A models, like the SOCOM 16, feature a fantastic muzzle break that will change the way you think about the .308 cartridge. In my experience firing these heavy-duty rounds, I have never gone through a magazine so seamlessly. I was able to shoot faster and more accurately than ever with this .308 rifle. 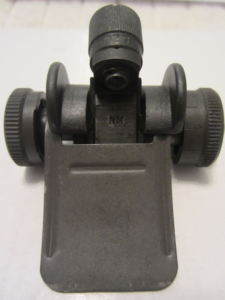 However, much of my success was also in part to the factory installed sight system on the M1A. I first fired the SOCOM 16 model, which was designed for mid-range targets. Springfield gave this rifle an easy to use ghost ring aperture rear sight combined with an XS Tritium Insert front sight. This combo worked wonders for me and allowed me to get on target much faster than expected. For more long-range precision, I tried out the Loaded M1A with a National Match .062″ Blade front sight and a match grade (Non – Hooded .0520) Aperture Rear sight. The incredible long-range shooting ability of these guns was hard to believe – and that’s without even adding any optics! 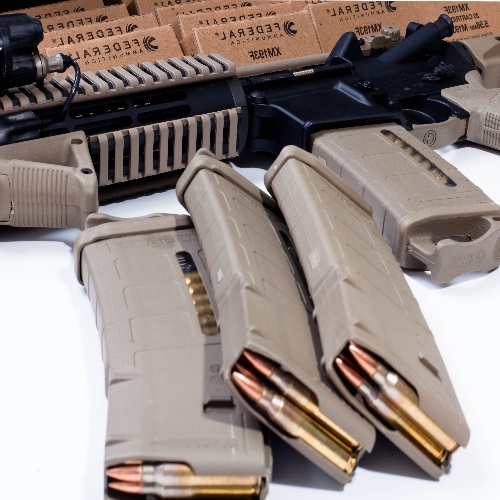 Nearly all of the M1A models ship from Springfield Armory with one 10-round Parkerized steel mag which is both extremely reliable and durable. However, some models, like the M1A SOCOM 16 CQB, can chamber 20-round mags. Now for the fun part – what to add on those precious Picatinny rails. While not all of the M1As feature rails, many of them do. Although several of the rifles have a top rail, even fewer have bottom or side rails. If accessorizing guns is your thing, then you’re gonna want to check out the SOCOM 16 CQB model which has the M-Lok compatible system. Okay, so there are quite a few aftermarket options to consider, so let’s start with a new rifle stock. If you’re in the market for a huge upgrade on your stock, then look no further than the JAE-100 G2 rifle stock. This high-priced accessory may not be the most essential addition to your M1A, but it is awesome nevertheless. Moving on to something more practical – For long-range shooters, I highly recommend investing in a good bipod. I recommend sticking with the Springfield brand for this one; check out their M2 bipod that attaches to the M1A’s gas cylinder. Last but definitely not least, we have to pick out an optic. If you want one of the most precise optics out there and are willing to spend for it, go for the Sightron SIII SS 10-50x60mm Long Range Rifle Scope. This attachment is surprisingly easy to use, quite durable, and offers unmatched accuracy. For a more modest and close to mid-range scope, you gotta check out Nightforce’s NXS Series. I’m a big fan of their 2.5-10x 32 compact rifle scope which offers a great balance of size and magnification. 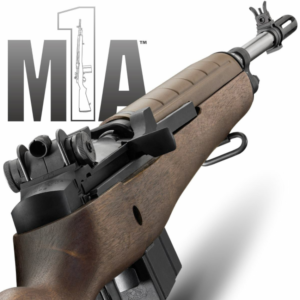 With nearly ten different available variations, picking the right M1A can be a tough task. However, before picking one, it’s important to know how they compare and contrast. For instance, all M1As share the same bolts, operating rods, mags, receivers, cartridges, and stocks (except the M21). 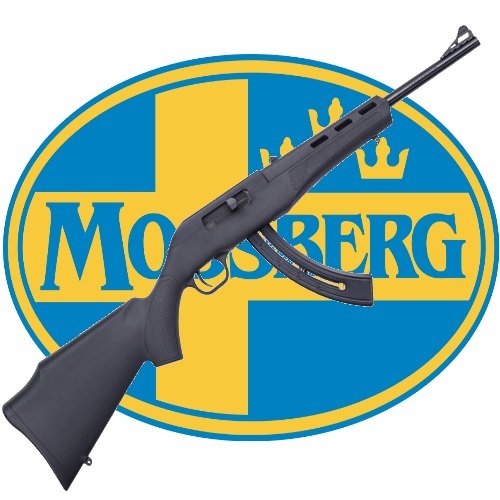 The primary differences within the M1A series are the barrel lengths. Within the 16”, 18”, and 22” barrel rifles, you can find variations of finishes, weights, and intended uses. For example, the SOCOM 16” model is by far the easiest to use and most compact of the M1As and is great for powerful short range hunting. 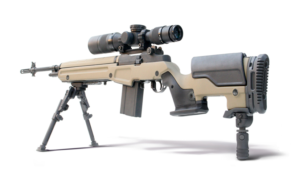 On the other hand, the 22” standard M1A model is large, powerful, and supremely accurate making it the ideal choice for long range precision competition. Even right out of the box, these rifles can perform! When Springfield redesigned the M14, they were already working with a legendary and ultra-reliable platform; but what resulted took that reputation a step further. The M1A rifles are as versatile as they come and it’s easy for me to recommend them to all types of shooters.